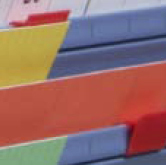 PLANO is the ideal system for visualising complex sectioned or full-step structured projects. Coherences of single activities and their related interconnections become easily recognisable. 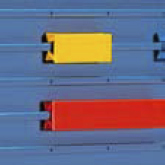 The DYNA system has write-on and easy moveable clip-on signals which are self-emphasising from the background of the board by their vivid shape. 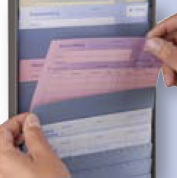 The 4 mm punch division of the ORGA boards enables a consolidated and reliable overview of staff members´ absence over a period of one entire year. It displays the duration of annual and sick leaves or personal shortages. 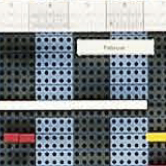 If you want to convert the planning into production control beyond your capacity planning, the WEIGANG Production Scheduling Board with or without time line is the ideal board. It can also hold batches of papers and can be expanded by further columns (In progress, Commissioned, Interception). 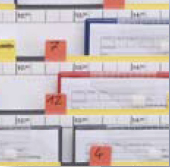 The Card Planning Board system offers an optimum of overview and flexibility from the simple keeping of documents to the distribution of orders and the determination of sequencing in production control. For single papers or sets of papers. 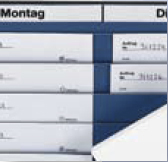 Docu Panel Size I, II and Stagger Display IV are ideal solutions to allocate order documents and job cards by columns (card rack), whether in sales, production or logistic departments. 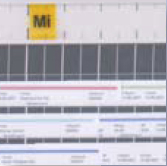 On the Channel Planner V board with flexible, self-clipping rows, voucher documents can be placed shingle-typed in series one after each other. The use of a time line makes free and used capacities immediately viewable. 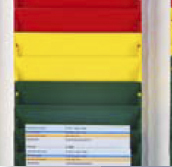 One compartement, one thousand options: multi-purpose usable colored metal slots for different document sizes, e.g. 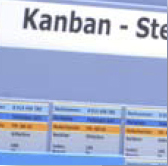 for order management, job allocation, order and filing system, or Kanban control according to traffic light principle. 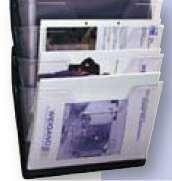 Stable, transparent display box of plastic for quick and easy access. Workshop scheduling board is a stable planning board system with open rows to receive order pockets size A4 or A5 vertical. Furthermore, it is available for 5, 10 or 15 mechanic workstations.